To understand anything is to find in it something which is our own. Shailaja Nadkarni Amma was a mentor and a mother figure at Chinmaya Mission Orlando. An ardent devotee and a committed disciple of Pujya Gurudev, Swami Chinmayanandaji, her entire life was devoted to the Mission. A practicing paediatric cardiologist, her meeting with Pujya Gurudev was a life transforming moment. With His blessings and spiritual force, she started a Bala Vihar. This tiny enterprise has since grown into a large centre, now catering to the spiritual needs of 300 devoted families. A fountain of love, she was the instrument that touched and changed many a life. She always described herself as, “a tiny instrument in Gurudev’s hands!” A perfect exemplar of his teachings, which she meticulously followed, she was engaged in spreading his message till her very end. 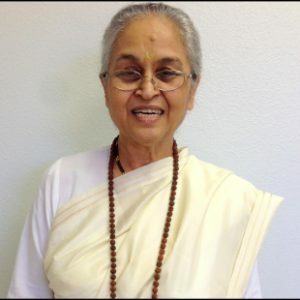 Shailaja Amma merged with the Lotus Feet of Pujya Gurudev and Her Beloved Lord at 1:50 am, on March 18, 2019 in Central Florida. In their hour of need, may Gurudev’s blessings guide and support her family, friends and admirers. With deep regret we inform you of the demise of Ms Nirmala Challam (Nirmala aunty to hundreds of her Bala Vihar Children) on 3rd March 2019 at Coimbatore. She was fortunate to have the blessings and guidance of Pujya Gurudev and spent her life serving HIM. 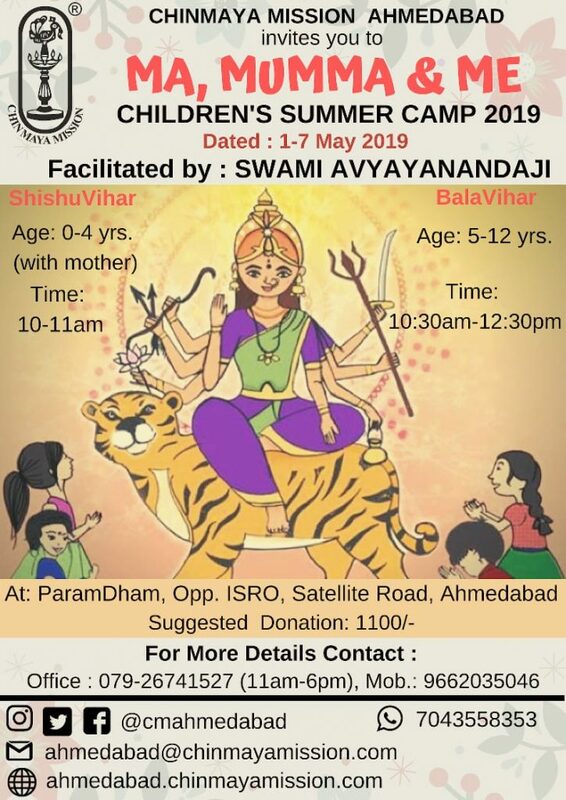 Her ability to organise and conduct innumerable Bala Vihar classes in Mumbai has been so effective that today most of her Bala Vihar students have grown to be responsible positive contributors to the Mission. She lived a life dedicated to spreading love and supporting underprivileged children. Nirmal Challam was a pillar of the Mission in Mumbai and later moved to our Coimbatore ashram where she spent her life in contemplation. We pray for her Satgati at the lotus feet of Pujya Gurudev. 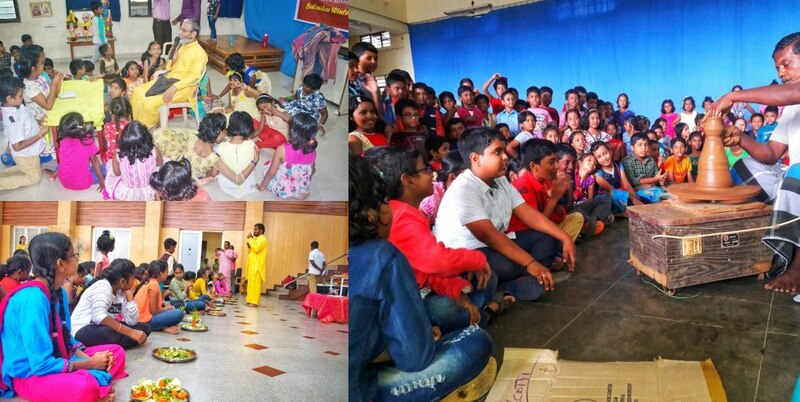 On President’s Day weekend (Feb 15th-17th, 2019), 67 Chinmaya Setukaris (CSKs) and 33 children participated in a Retreat titled “Led by Love, Lead by Love” conducted by Vivekji, Shankarji and Sumanji. Sumanji and Shankarji graduated from the 2016-2018 Vedanta Course in Trinidad under Swami Prakashananda. 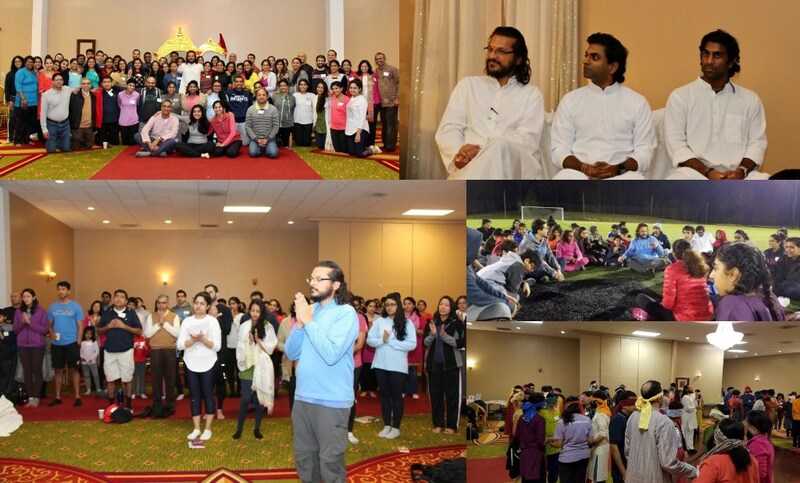 The retreat was hosted by Chinmaya Mission-Raleigh Durham and the CSK National Team. 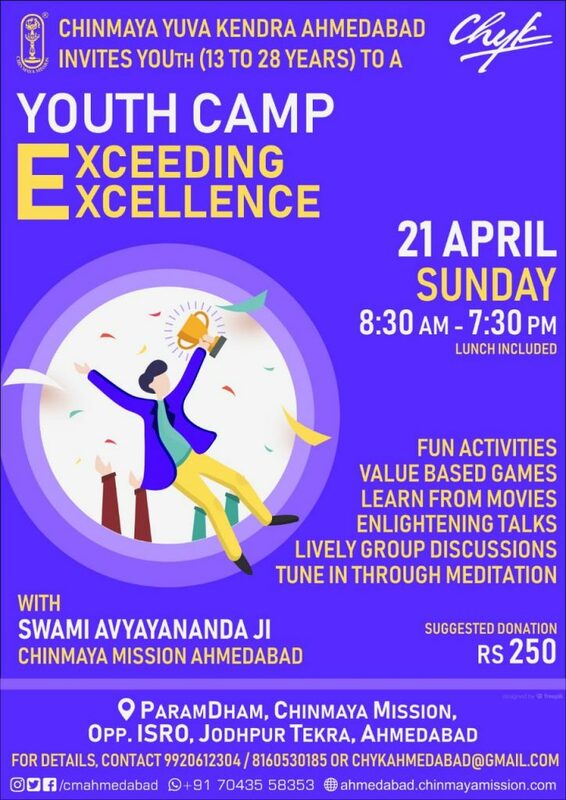 CSKs are the bridge builders between the Yuva Kendra(young adult) and matured. Vivekji expressed the importance of CSKs embracing responsibilities. Through this retreat, attendees came together to learn how to invoke and live this vision. The theme of the retreat suggests that if we bring more love into our life, we will become more loving individuals. This was reflected through studying the Vibishana Gita, written by Sage Tulasidas with commentary by Swami Tejomayananda. The scene of the Vibishana Gita is set during the Lanka Kanda in the Ramayana. After Ravana’s entire army and relatives are crushed, Bhagawan Rama and Ravana prepare for the final battle. Ravana arrives fully armed with sophisticated weaponry and his special war chariot, the Yuddha-ratha. 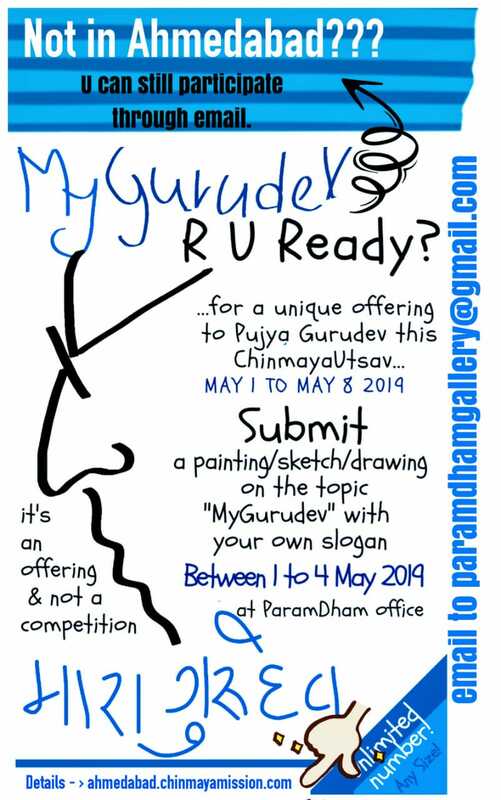 While Bhagawan Rama arrives with just His quiver, a few bows and arrows and bare feet! Upon seeing this, Ravana’s brother, Vibhishana, is paralyzed with fear. Vibhishana then questions Bhagawan Rama about how He can defeat the physically-strong, well-equipped Ravana. 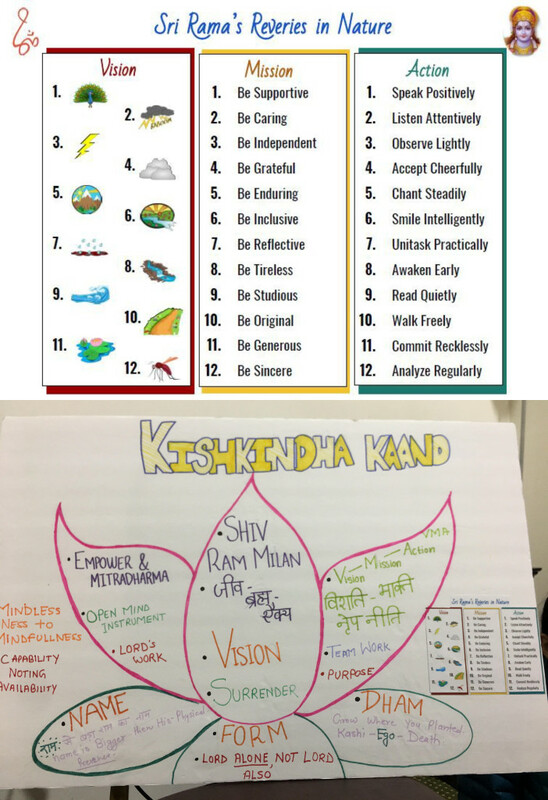 In addition to Discourse, Discussion and Dialogue, retreat attendees also participated in skits, activities and athletics which helped them better understand how to incorporate the Vibishana Gita into their lives. One highlight was the “Food Creations Activity.” Participants were tasked with following simple recipes while engaging in an additional challenge (such as blindfolding, using only their dominant hand or chanting Mantras). Then, they discussed the importance of sattvic cooking and the promotion of a simple Indian cookbook facilitated by the CSKs coming out soon. May Lord Jagadeeshwara and Pujya Gurudev’s grace and blessings be upon one and all. I am also glad to inform that arrangements have been made to do a live webcast of the Aarati of Lord Jagadeeshwara at 6.30pm IST followed by Abhishek and Pujas. The Pujas conclude with Maha Aarati at midnight. Pujya Swamini Sampratishthananda of Coimbatore centre conducted a Jnana Yajna in English on Bhagawan Shankaracharya’s Maneesha Panchakam from 30/12/2018 to 06/01/2019 at Sripaadakshetra, J P Nagar. The Yajna was inaugurated by Sri Purandhara Sharma, president of the Mission. 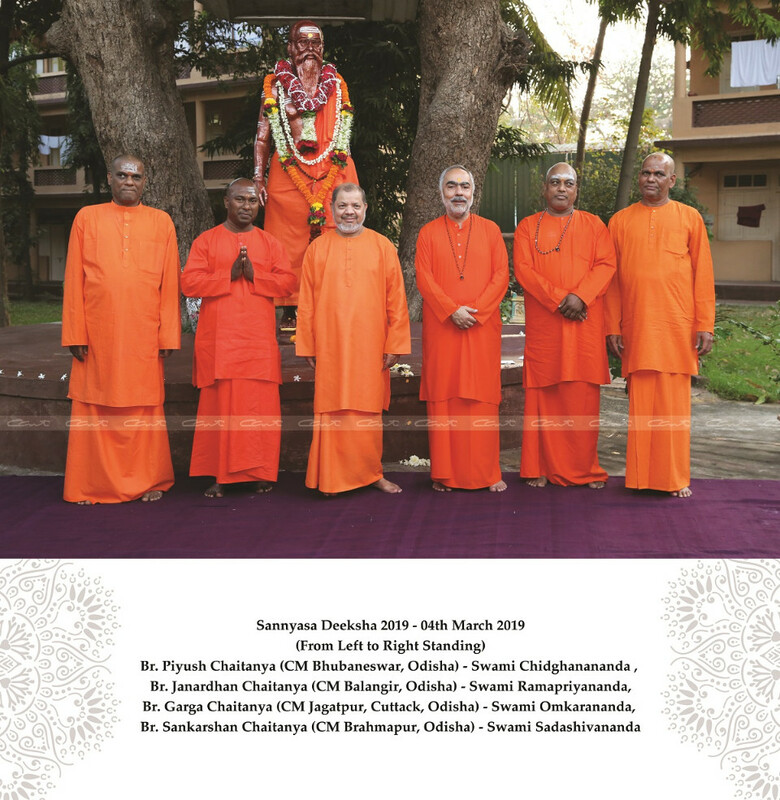 The Yajna was organised as a part of the anniversary celebrations of Sripaadakshetra which completed 14 years of service to the spiritual fraternity on 01/01/2019. Pujya Swamini Sampratishthananda explained how all differences that we perceive are because of delusion where the vision of divinity & oneness is absent and only division is seen. 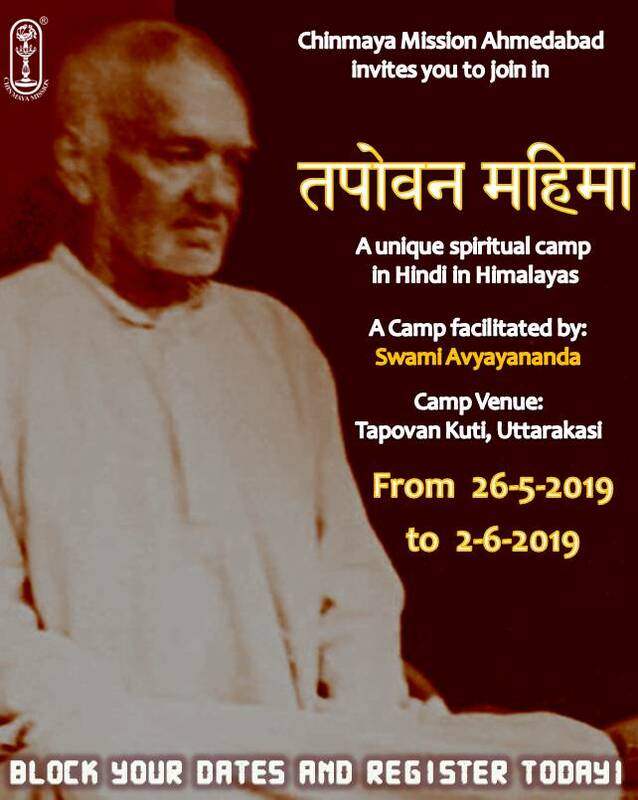 The realised Master sees the whole universe as Brahman alone where He and Brahman are complete – paripoorna with no limitations – The knower, known and knowing form the integrated combination to realise the supreme Truth. 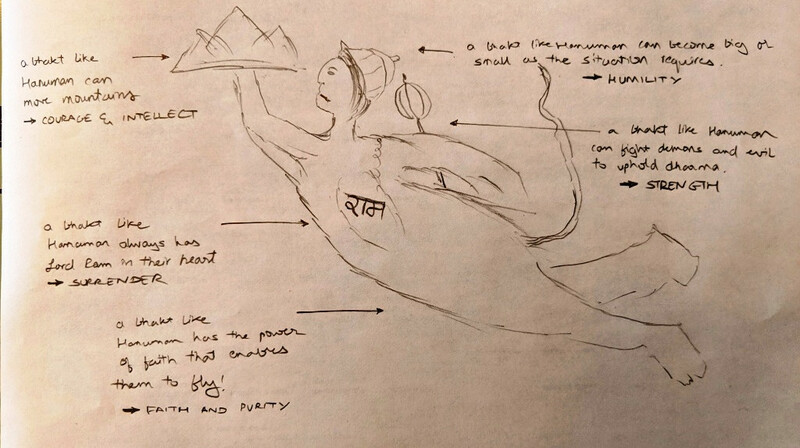 Brahman is the canvas on which Maya paints her creation using the three Gunas – Satwa, Rajas and Tamas. 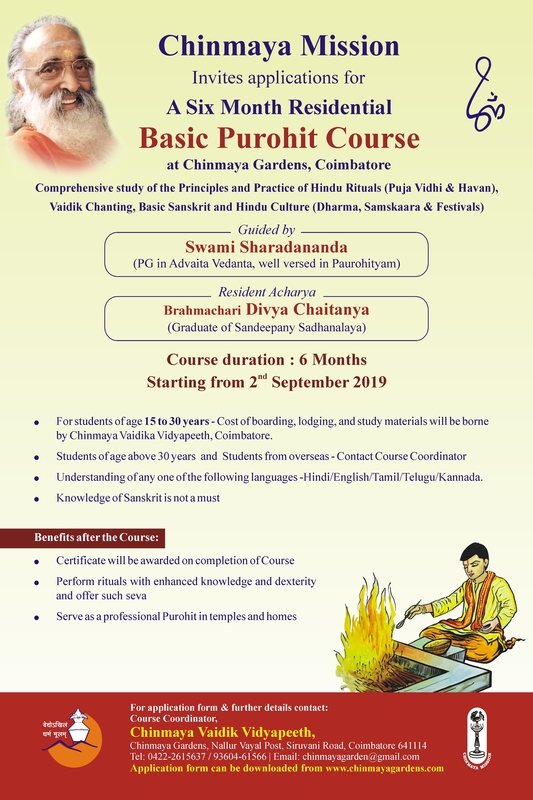 Maneesha Panchakam forms the essence of all Upanishads giving a complete analysis of Jiva, Jagat and Ishwara and the relationship through the four Mahavakyas giving complete clarity of the ssssSupreme Truth. The Yajna was very well attended on all the days. Pujya Swami Gahanananda of Tumkur centre conducted a Gita Jnana Yajna in Kannada on Bhagavad Gita Chapter-12 at Twinklers’ Vidaniketan, Nagarabhavi from 07/01/2019 to 13/01/2019. The Yajna was inaugurated by noted social reformist and writer Smt Hemalata. 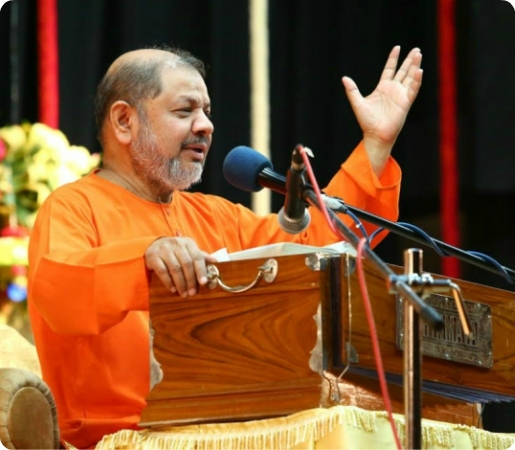 Pujya Swamiji explained that the Bhagavad Gita acts as a manual showing the right path to be followed when confronted with cross roads in life. A sadhak who is confused with respect to choice regarding paths of knowledge and action is given confidence with the fact that both lead to the same Ultimate Truth but prescribed for individuals with different temperaments. What is needed is sincere attempt and attitude of mind with a strong sankalpa to realise the Self. This will calm the mind and the sadhak will view the world with equanimity never getting disturbed by the dualities. The Yajna was well attended on all days. Pujya Swami Brahmananda conducted a Gita Jnana Yajna in Kannada on Bhagavad Gita Chapter – 5 from 21/01/2019 to 27/01/2019 at Sri Rama Mandira, N R Colony. The Yajna was inaugurated by well known philanthropist and tabala player Vidwan Sri Venkatatanarayan. 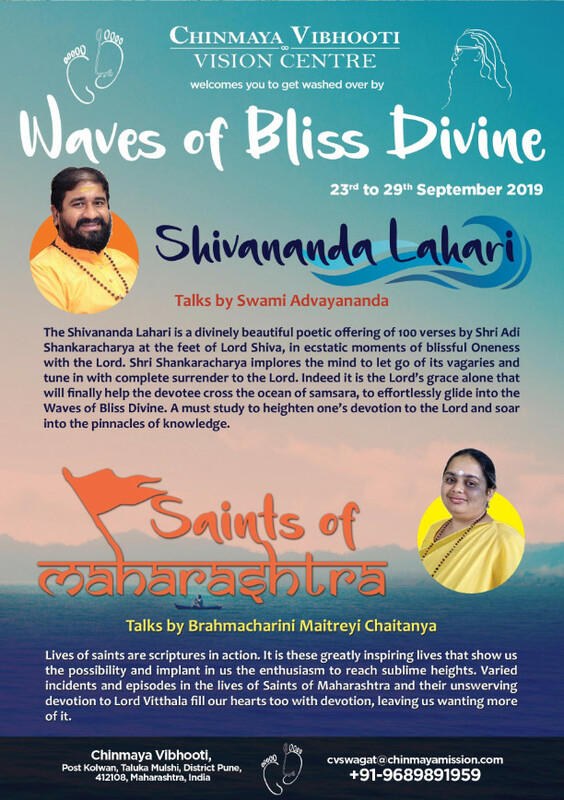 Pujya Swamiji stressed the fact that happiness can never be achieved from the outer world but a state of our own inner Self which is the experience of a calm and serene mind. It is a wrong notion that renunciation of action will lead to realisation. It is necessary to only renounce the feeling of doership and continue performing action benefitting mankind. All Mahatmas led such a life of intense action without being attached to the fruits standing rooted in the fact that they are separate from the body, mind and intellect. The Yajna was a grand success with several sadhaks deriving benefit. 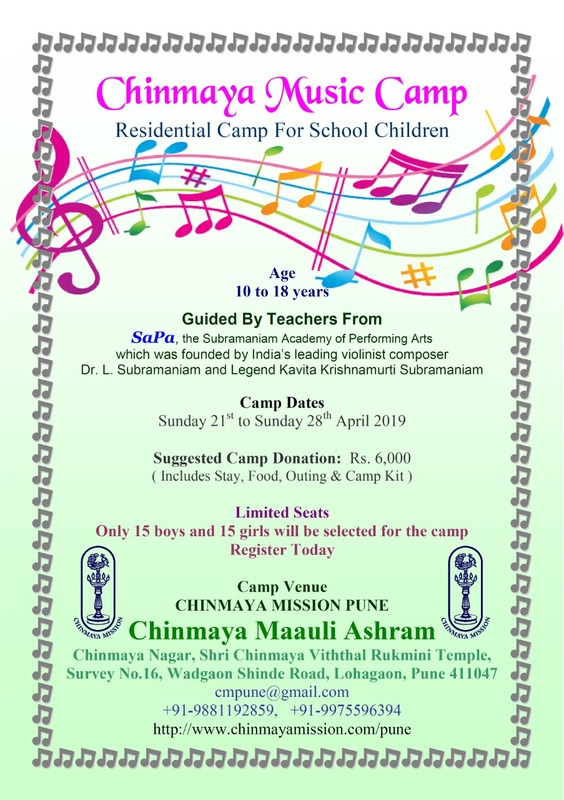 The Annual Chinmaya Balavihar competition for junior and senior children was held at Chinmaya Vidyalaya, Koramangala on January 6, 2019. Pujya Swamini Sampratishthananda from Coimbatore lit the inaugural lamp for the Junior & Senior competitions. Smt Saroja Sridharan, Principal, Chinmaya Vidyalaya Koramangala graced the occasion. In her Inaugural address, Swamini Amma spoke about the importance of learning shlokas and Stotrams in our daily life. She stressed that chanting the Shlokas and Stotrams given to us by our Gurus helps us to become pure. 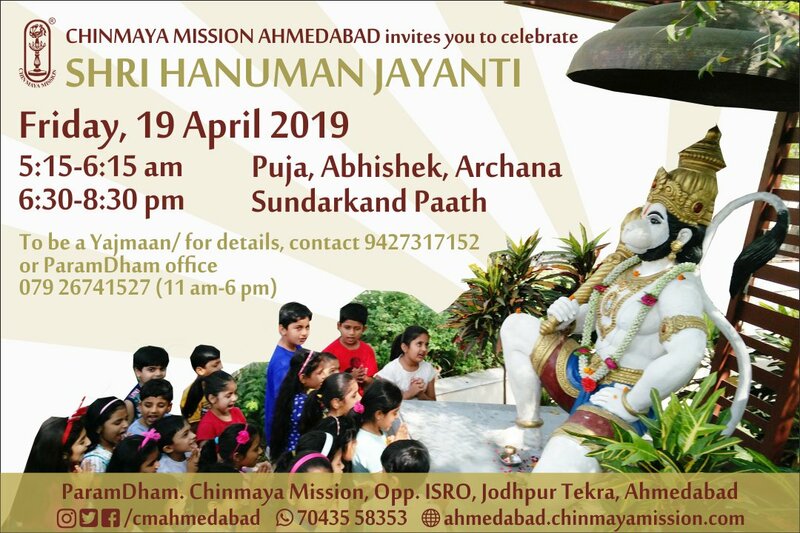 The topics for the competition were Krishnashtakam, Suryashtakam, Pratah Smaranam, Shiva Shadakshara Stotram, Bhagavad Gita Chapter-9, Achyutashtakam, Totakashtakam, Chinmayananda Shatkam, Shivaparadha Kshmapana Stotram, Mankutimmana Kagga and Mantra Pushpam along with Storytelling both in English and Kannada. About 1200 children who participated in all these items left the Judges spellbound with their renditions, chanting and captivating stories. In the holy presence of Pujya Swami Brahmanandaji, Smt Ranjitha Palanivelu and Smt Jyothi Krishnan, senior Mission members distributed the prizes. Chinmaya Mission Tirunelveli organised the Balavihar winter camp on 23rd and 24th December 2018 at Chinmaya Vidyalaya and Pushpalatha schools. 207 children participated in the camp. 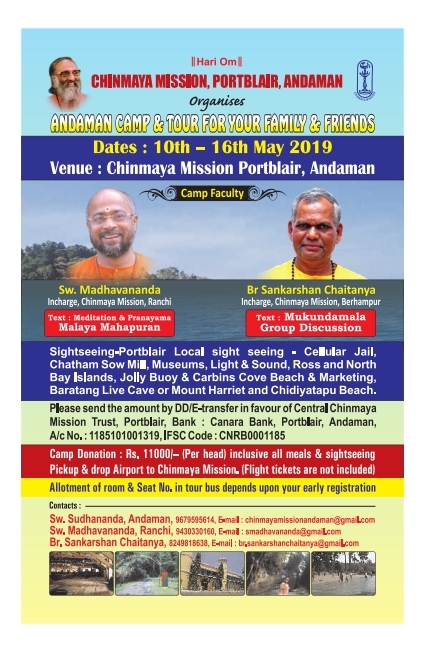 During the camp they were introduced to traditional arts like Villupattu, Oyilattam, Olai art, Pottery, Kolattam, Reptile conservation and Cookery. Eminent people from the above fields introduced the arts and guided the children in performing. Also they had story telling and games sessions. Children thoroughly enjoyed the sessions and the feedback was very positive. 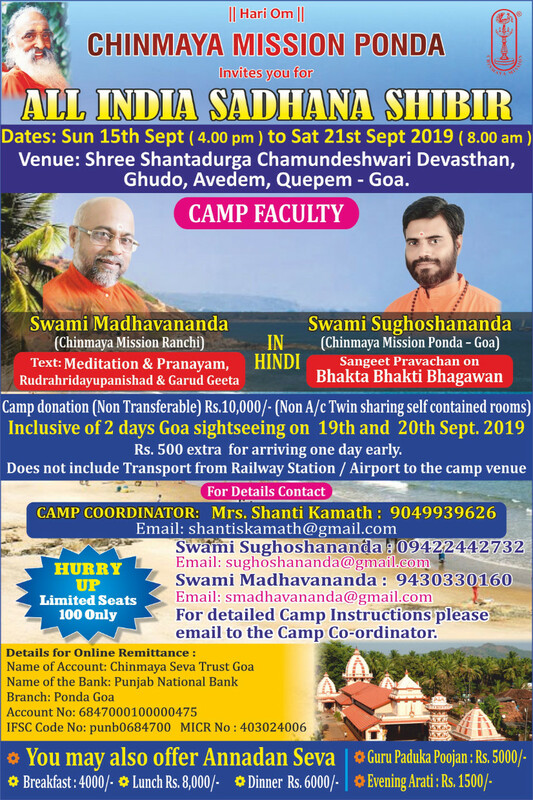 For More Camp Picture Click Here. 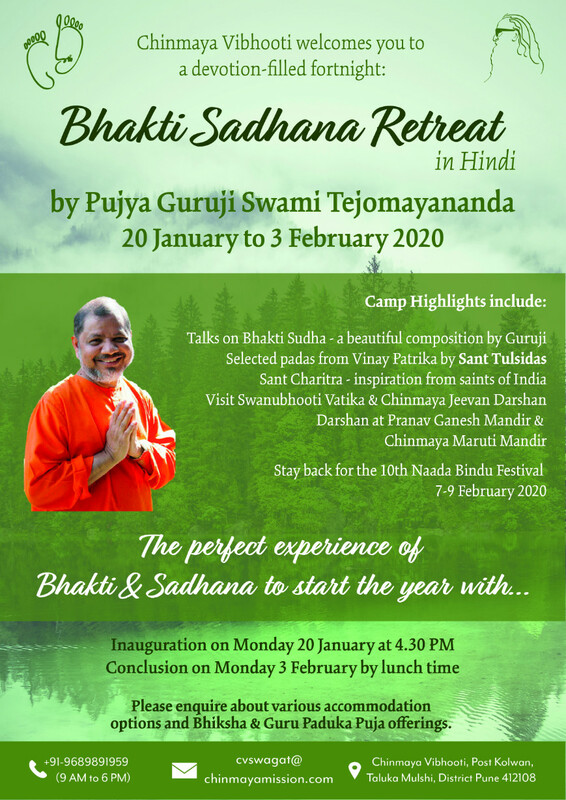 On December 23rd 2018, 34 seekers from 12 different cities in North America gathered on the island of Sri Lanka to begin the 12th Chinmaya Inspiration Yatra, steered by Vivekji. The week was filled with both internal and external exploration, illuminated by the teachings of Ramayana. Yatris explored many settings of the Ramayana, such as Munneswaram, the mandir at which Bhagwan Rama prayed to Bhagwan Shiva after the battle with Ravana; the site of Ashok Vatika where Mother Sita was held captive and Hanumanji’s footprints can still be seen; and various gardens and caves believed to be created by Ravana. In visiting these locations, Bhagwan Rama’s life became more deeply rooted in our reality, as His teachings became more rooted in our minds. The yatris were blessed to be guided by Vivekji, Vijayji and Shankarji of North America. 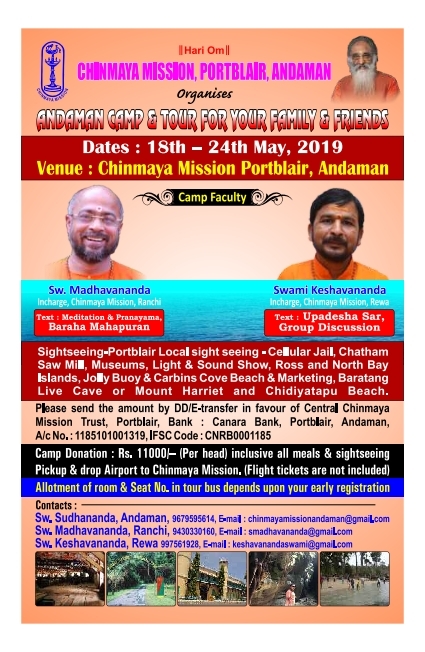 And upon arrival to Sri Lanka, were joined by Swami Gunatitananda and Swami Chidakashananda, resident Acharyas of the Sri Lanka ashrams, whose knowledge of the land in addition to Sanatana Dharma, enriched our learning. As the Yatris awoke early in the morning, and looked across the valley that laid in front of Hanumanji’s mandir at Rambodha, the serene beauty of the lingering sunrise reflecting off of the water as it cut between two sylvan mountains awaited them. Scenic views like this accented the whole Yatra. This sight is what began their full day at the ashram, where the schedule mirrored that of the Vedanta course at Sandeepany Sadhanalaya. 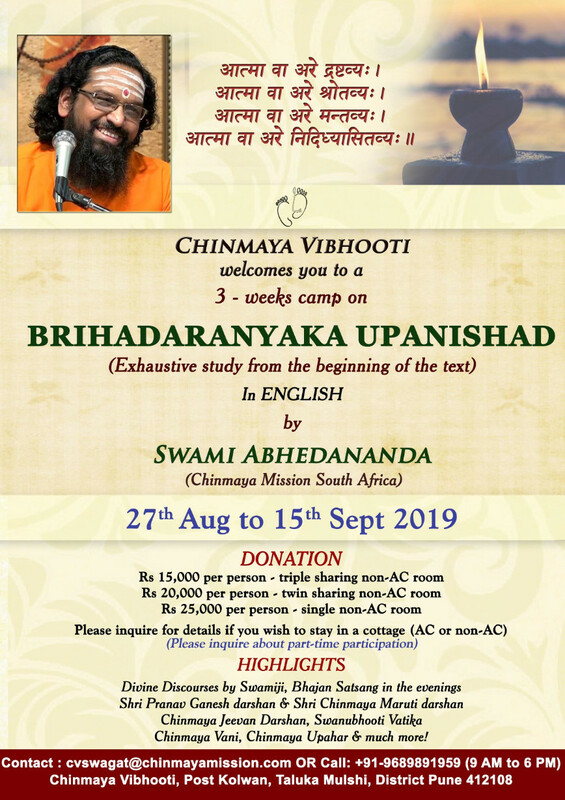 The Yatris studied together as they had satsang in the morning on Kena Upanishad led by Vijayji, Bhagavad Gita in the afternoon with Shankarji, and Ramayana class with Swami Gunatitanandaji and Swami Chidakashanandaji. Blissful days were spent in satsang, seva and reflection at Rambodha ashram. In addition to the spiritual and historical sites, the yatris delved into different cultural aspects of Sri Lanka, visiting tea plantations, spice gardens, and elephant orphanages (and even a Colombo Taco Bell! ), to learn about the daily lives and values of the locals. In visiting Sri Dalada Maligawa, a temple dedicated to the tooth relic of Gautama Buddha in Kandy, seekers were able to see the extensive Buddhist culture and their dedication to preservation. 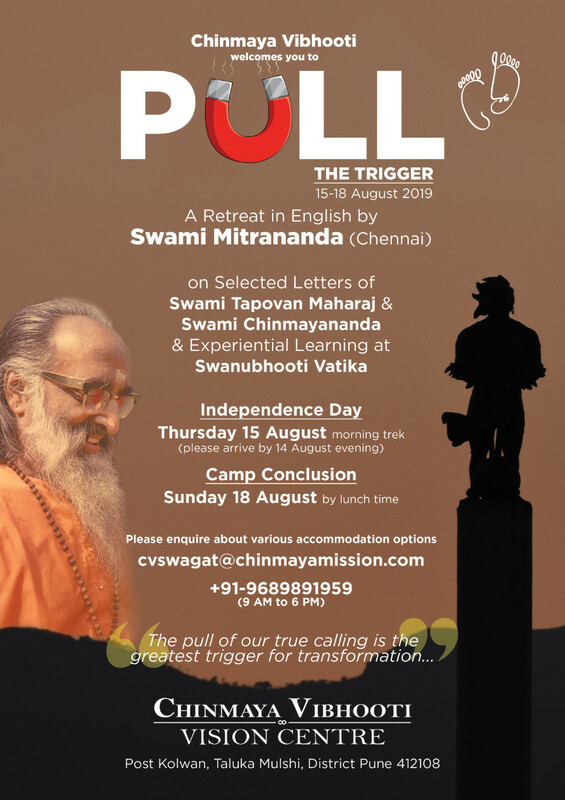 Over this week, seekers reconnected with Sanatana Dharma by following in the wise and deliberate footsteps of Bhagwan Rama under the guidance of our Gurus and the blessings of our guru-sisya-parampara. 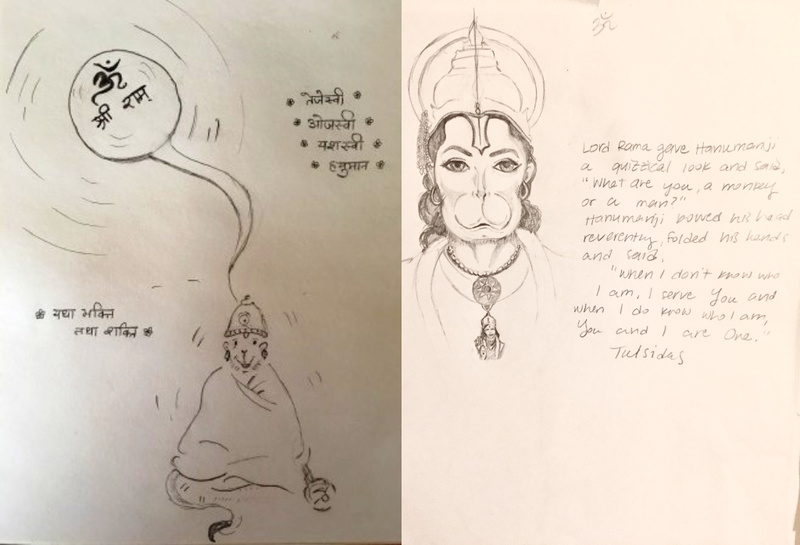 On the auspicious day of Guru Purnima, July 27th, 2018, Devi Culture Study group started the study of Guru Stotram. The Devi Satsanga was held on a Friday once a month from 7.30 PM to 9.00 PM EST via Zoom under the guidance of Shri Vivek Gupta. Thirteen study groups with approximately six Devis per group participated from USA and Canada. 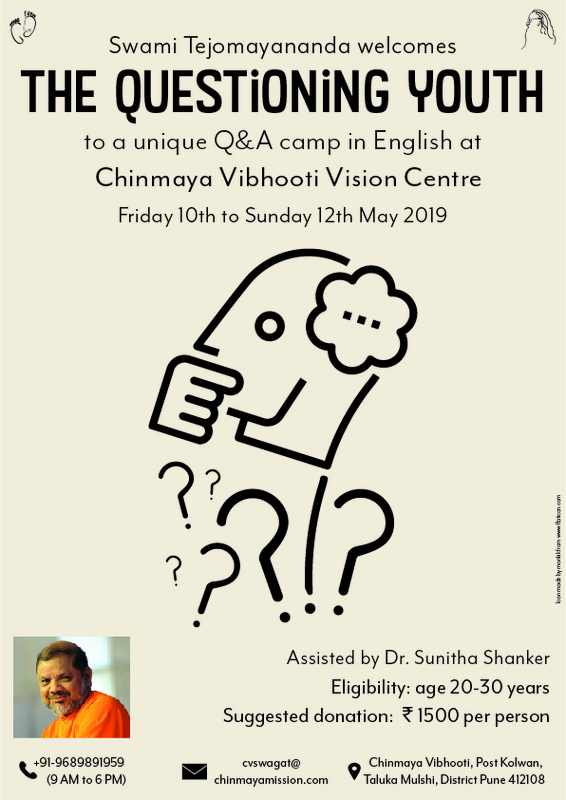 Each session started with 30 minutes of discourse, followed by a 30 minutes session of Q&A with Vivekji. After which, the individual Devi group discussed the two questions assigned by Vivekji among themselves. Reflection Adventure of the Month (RAM) was assigned after each session to reflect and engage upon. Devis learnt the inner meaning of the Guru Stotram which emphasized the importance of a Guru in one’s life. The first semester ended on Dec 14th, 2018 with each center giving a presentation describing the philosophy and the implementation aspects of each shloka in the Guru Stotram. The study group was a fun filled means for the Devis to relax, reflect and discuss ways to resolve their everyday challenges using the knowledge gained. The Devis developed a sense of community, that enabled them to fortify the practical application of what was taught, into their day to day life. 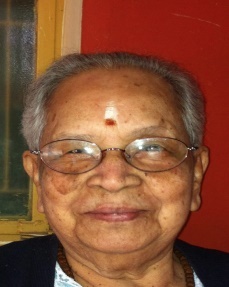 The Devi Culture Study Group will continue the study of Jagadish Arati in 2019.